Reigning Australian Open champions Nicol David and Ramy Ashour are through to the finals in Canberra. 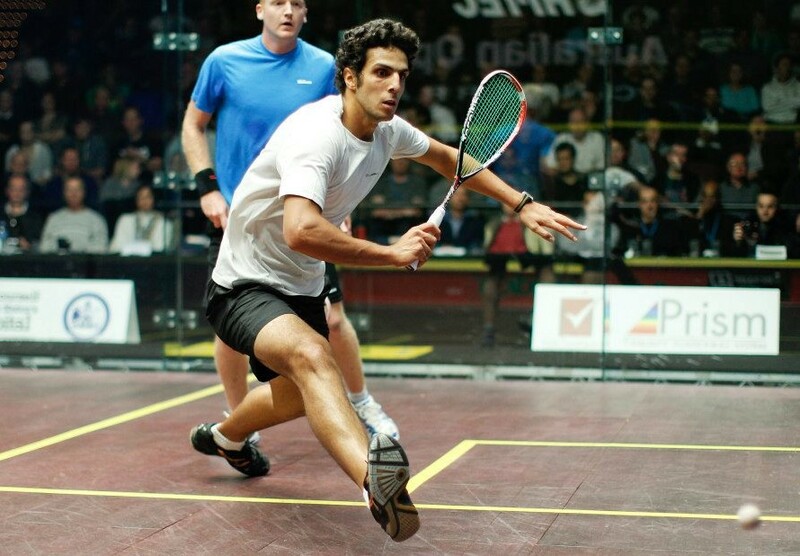 Ashour came from a game down against Cameron Pilley to end home interest and will meet fellow Egyptian Omar Mosaad, the second seed who also recovered after losing his first game to Tom Richards, in the final. David overcame Ireland’s Madeline Perry in straight games, and the Malaysian world number one will meet Laura Massaro for the title after the English third seed came from 5-9 down in the fifth to deny India’s Dipika Pallikal a first-ever major final. 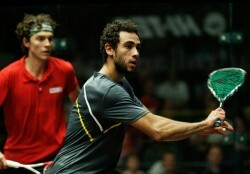 Top-seeded Egyptian Ramy Ashour booked his place in the final of the Hi-Tec Australian Open after overcoming Australian Cameron Pilley in a brilliant men’s semi-final today in Canberra. 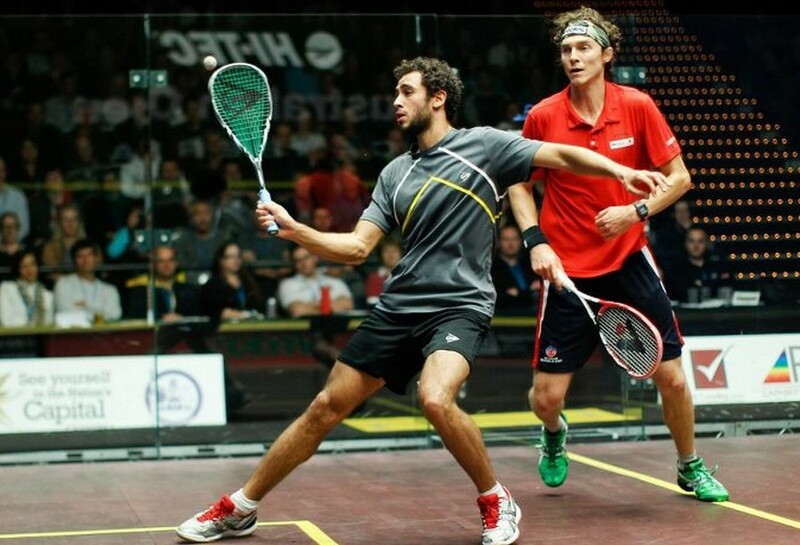 Ashour will play fellow Egyptian Omar Mosaad in the decider of the PSA World Tour International 70 squash event following his come-from-behind 8-11, 11-7, 11-7, 11-7 win over the Australian number one. Ashour and Pilley are two of the best shot-makers in the men’s game and they put on an attacking master class for the large crowd in Canberra’s Royal Theatre. Pilley took the early advantage when he claimed the first game, only for defending champion Ashour to take the second after jumping away to an early lead. The two men went point for point in the next two games, however, Ashour was able to win the big points towards the end to seal victory. 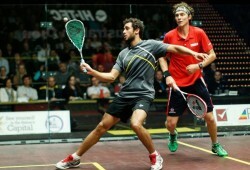 Ashour said he knew what to expect playing against someone like Pilley. “The top players go everywhere in the world together and play each other a lot,” said the 24-year-old from Cairo. Pilley was also happy despite the loss. “That’s the best I’ve played all tournament, it’s the best I’ve moved all tournament,” said the world No20 from New South Wales. 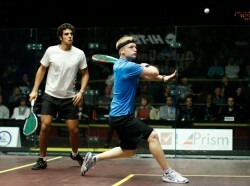 Earlier, Mosaad downed an injured Tom Richards of England 9-11, 11-3, 11-3, 11-3 in the first of the men’s semi-finals. Richards has been in great touch this week and looked on course for an upset when he won the first game, but he pulled a glute muscle towards the end of the game and his movement was severely restricted thereafter. Mosaad took full advantage, going short at every opportunity and leaving Richards stranded at the back of the court unable to chase the ball down. “It was my right glute, I just couldn’t push off it,” a devastated Richards said. “Generally I’m able to push through, but movement’s quite a big part of my game so when I couldn’t move, I couldn’t put any pressure on him. “I think he knew because he started taking it in a lot more. It’s very, very disappointing because I thought I had a really good chance of winning this match today. 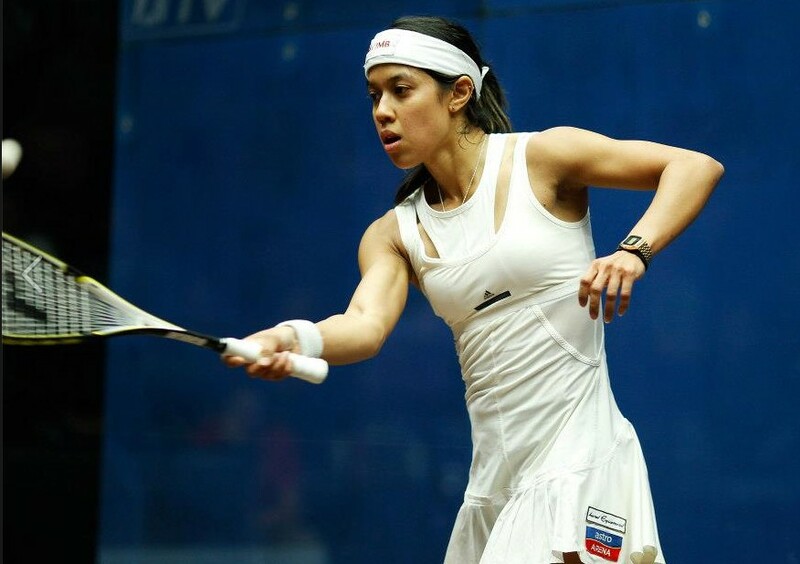 Defending champion Nicol David was back to her imposing best as she defeated 2010 winner Madeline Perry in the semi-finals of the HI-TEC Australian Open in Canberra on Saturday. David beat the Northern Irishwoman in straight games 11-7, 11-4, 11-5 to set up a final against England’s Laura Massaro, who earlier took five games to see off India’s Dipika Pallikal 11-7, 7-11, 13-11, 3-11, 11-9. 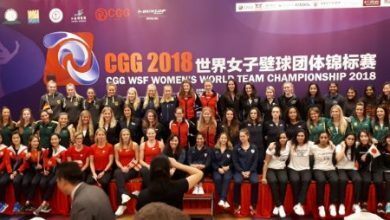 The Malaysian superstar was pushed hard in Friday’s quarter-finals by Alison Waters, who exposed some chinks in the world number one’s armour in a thrilling contest. But she was back to her devastating best against Perry, who admitted later she didn’t have an answer despite going into the semi-final in great form. David’s movement was superb as she chased down everything, never giving Perry an easy point throughout. “The match yesterday gave me a real motivation for today, to stay focused and stay solid,” David said. “I was moving well and hitting the ball well so hopefully it will be the same tomorrow. Massaro came from 5-9 in the deciding fifth game to beat Pallikal and deny India a first ever finalist in a major tournament. Pallikal had played superbly to take the fourth game 11-3 and opened a big lead in the fifth before faltering under the pressure of Massaro’s comeback. After beginning the match strongly, Massaro began to struggle to cope with Pallikal’s deceptiveness at the front of the court. Pallikal was unlucky to lose the third in a tiebreak then dominated until the late stages of the fifth. She will be rueing losing a match that even her opponent conceded she should have won. “At 9-5 down in the fifth I’d just decided I’d lost really and I just wanted to finish well and make the score respectable,” Massaro said. David and Massaro have met on 17 occasions with the Malaysian winning 15 times and Massaro twice. However, the Englishwoman has pushed David over the past two years, with her two wins coming in major tournaments in 2011, the Malaysian Open and Singapore Masters.